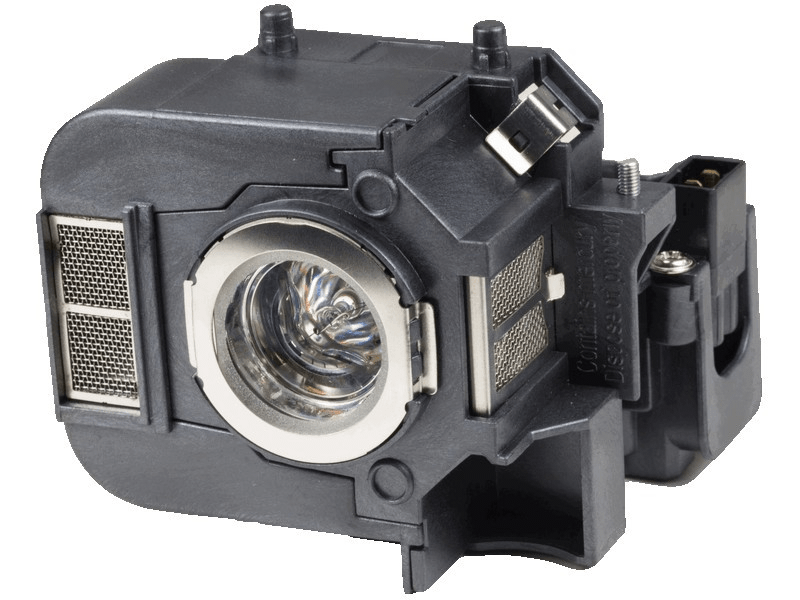 The V13H010L50 Epson projector lamp replacement comes with a genuine original 200 watt Osram bulb inside rated at 2,600 lumens (brightness equal to the original Epson lamp replacement). The V13H010L50 lamp has a rated life of 5,000 hours (6,000 hours in Eco mode). Our V13H010L50 Epson lamp replacement has superior brightness and lamp life than other cheaper generic replacement lamps being sold elsewhere. Purchase with confidence from Pureland Supply with a 5-star Google rating, free ground shipping, and a 180 day warranty. This is the second projector replacement bulb I have purchased from Pureland and it won't be the last. In my particular application, they use OSRAM bulbs in an aftermarket housing. The housing is identical to the OEM and the most important part - the bulb- is OEM. Good prices and quick shipping very well packaged to prevent damage. All I could ask for.